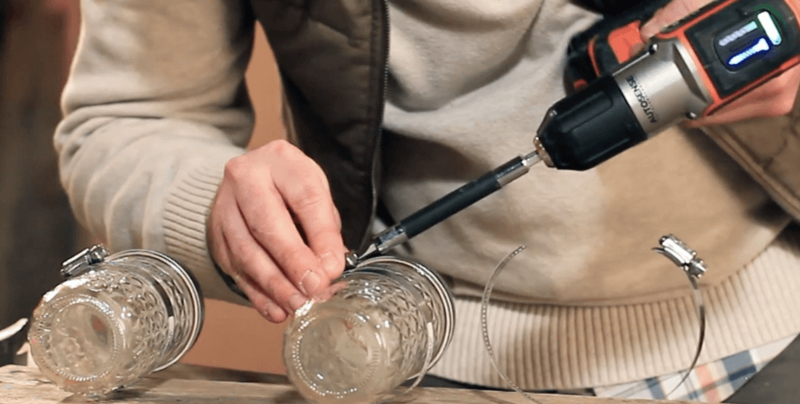 The Decorative Mason Jar project is a great starting point for the DIY beginner. It's quick, simple and flexible and can be done without many tools at all. The finished product can be used for decorative or functional storage on your desk, or even be mounted to the wall. 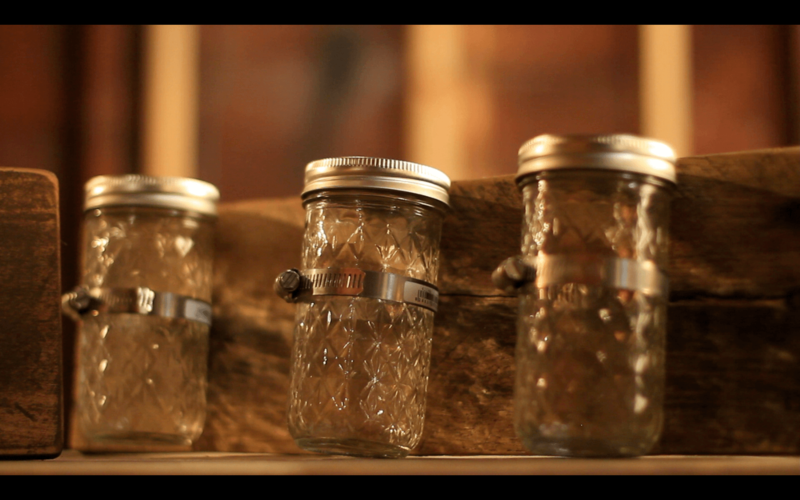 One cool thing about this project is that you don't really have to make your mason jar display the same size as mine. In my case, I cut a pallet board to 18 inches long. The board was naturally about 4 inches wide, so I only had to cut it to my desired length. My measurements assume that you are going with the same board length as I did - 18 inches. 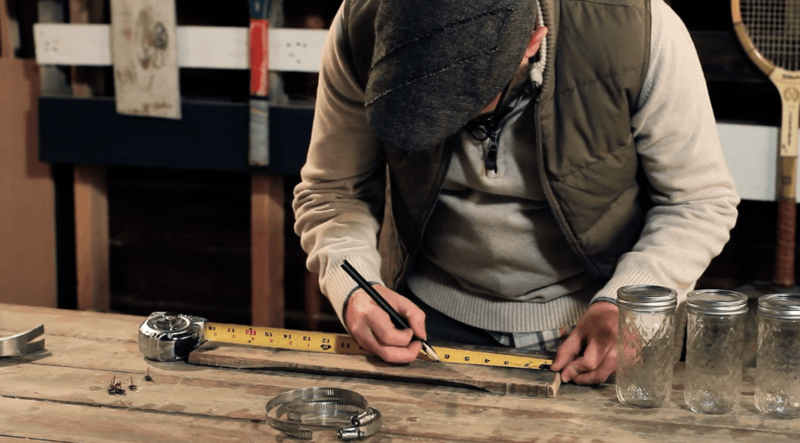 You first need to grab a pencil and mark the spot where you will attach your pipe clamps - which will ultimately hold your mason jars. So the goal is to space them out evenly so your jars look even and symmetrical. I measured 4 inches in from each end of the board, and made my mark. Then, my mark in the very middle of the board is about 9 inches from either end. (18 inches divided by 2). 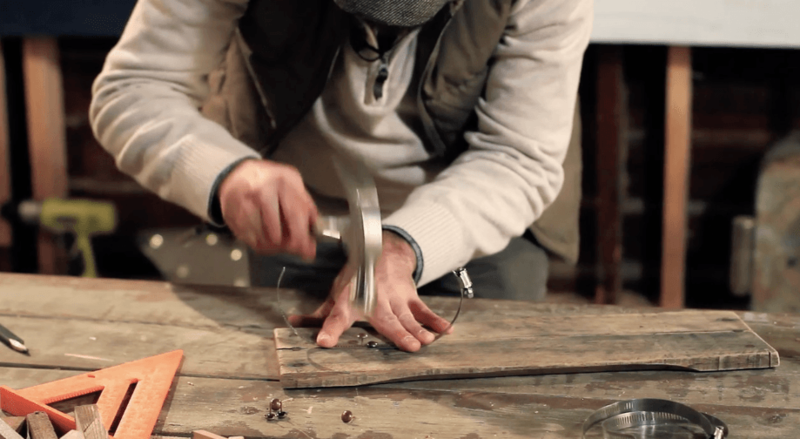 Once you've made your mark, grab a hammer and small tacks and simply tack your pipe clamps into place. I'd recommend using 2 tacks per clamp, just to make sure it is secure and will firmly hold the mason jar and whatever you end up putting in the jars. Repeat the process until you've attached all 3 pipe clamps. 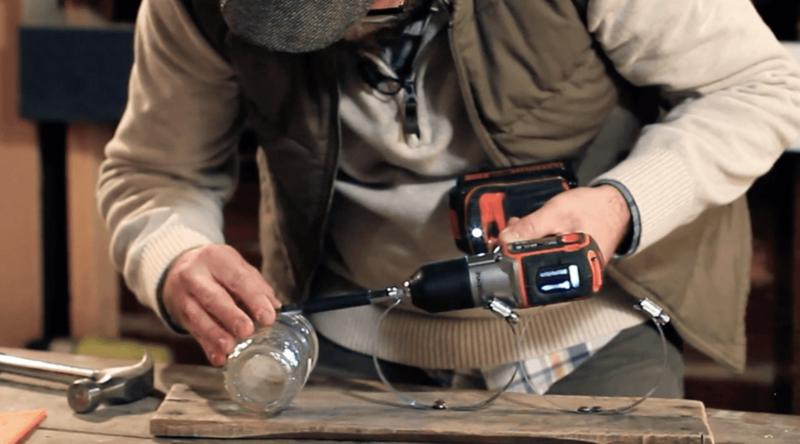 Place the mason jars inside of your pipe clamps. 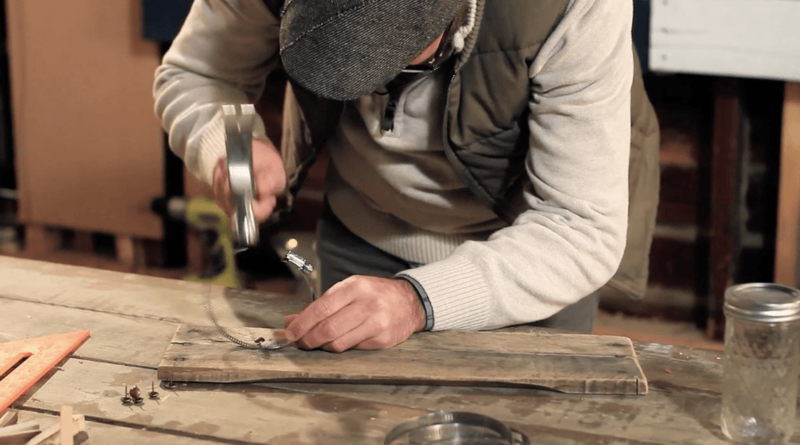 Tighten the clamps to where they grab the jar firmly, and you may want to grab a drill or screwdriver to make sure you get the clamp tight. Do this for all 3 jars. This mason jar holder is versatile, and you may want to prop it up on a desk or hang it on a wall. 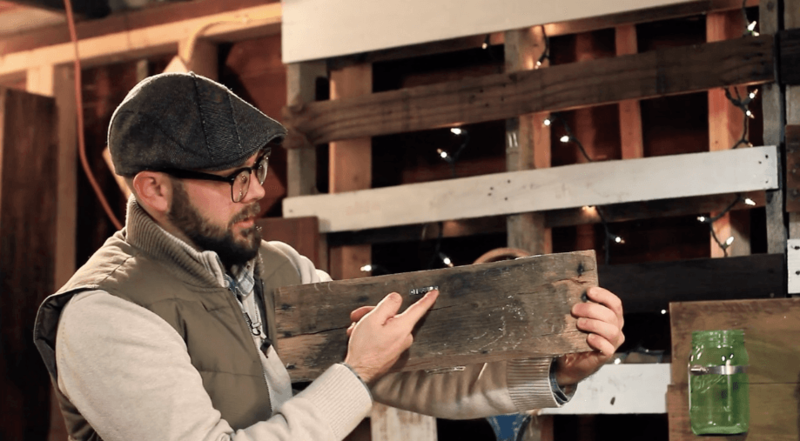 If you want to hang it on a wall, you'll need to attach a string, cleat, or some other device to the back of your pallet board in order to hang it up.